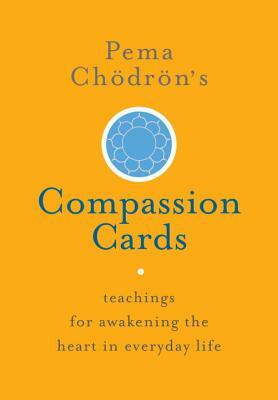 59 beautifully designed cards on the classic Buddhist practice of lojong for everyday inspiration and contemplation--with instructive commentaries by Pema Chödrön to make the teachings accessible and applicable to contemporary life. * and an audio download of Pema’s teachings on the related practice of tonglen. These cards were previously published as part of The Compassion Box. PEMA CHÖDRÖN is an American Buddhist nun in the lineage of renowned Tibetan meditation master Chögyam Trungpa and resident teacher at Gampo Abbey in Nova Scotia, the first Tibetan monastery in North America established for Westerners. She is the author of many books and audiobooks, including the best-selling When Things Fall Apart and Don't Bite the Hook.